How can I change background color for the contact form? 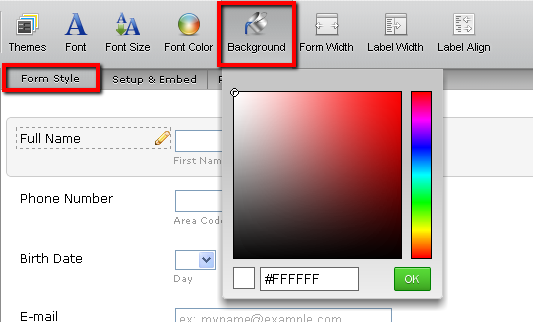 A) Use the Background button found in your form's toolbar (under Form Style tab). I hope this information will be helpful. Please let us know if you need further assistance. Thank you for using JotForm! The actual shade of gray that you are looking for is actually this: #353535. 1. Edit your form and go to Preferences.